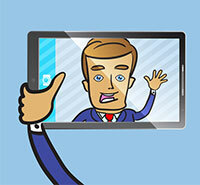 What’s so special about selfies that has made them an overnight sensation? Data by StyleCaster reveals that over 1 million people take selfies every single day. This exponentially increasing number is certain proof that taking selfies has outgrown the “flash-in-the-pan" phase and is here to stay. Not that we needed statistics to believe this as selfies now dominate online profiles across the internet. Celebrities and even highly respected political and religious leaders have joined the selfie craze - Pope Francis and US First Lady Michelle Obama are just a few of our world’s leaders that have joined the selfie craze. Selfies, by definition, are photographs taken by one’s self or by a group of individuals, with the photographer included in the frame. These “self-portraits" are usually taken with the use of a camera phone, with shots taken while facing the mirror or positioned at arm’s length. 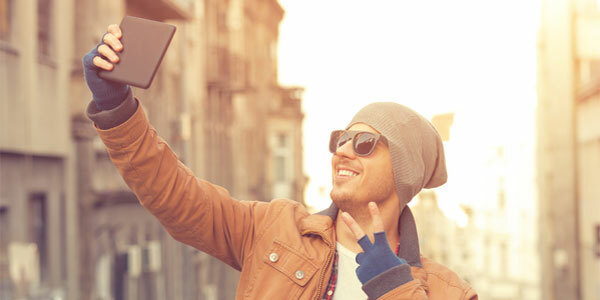 According to statistics collated by Social Times, 50% of men and 52% of women have taken selfies and have shared or posted these pictures on a wide variety of social media platforms like Facebook and online dating sites. In terms of popularity, while selfies certainly seem like the “thing" to do, men’s selfie pics will leave your dating profile unclicked in most cases. If you want the best male profile in online dating, check out these reasons as to why you should avoid the selfie. It’s a Girl Thing. Women can take selfies all they want, at whatever angle they desire, and guys go crazy for them. Selfies with pets and recent updates in wardrobe are acceptable for women but are a total no-no for men. In fact, a recent study by Zoosk stated that the majority of women find it a turn-off when men post selfies as profile pictures on social media and online dating sites. Most women find it attractive though when men post pictures that are taken outdoors. So much so that it resulted in men getting 19% more inbox messages than those whose pictures were taken indoors (if you’re going to take a selfie, take it outside!). While men get excited with selfies taken by women lazily selfie-ing away after a cozy, afternoon nap at the pool, clad in a new string bikini; or a night-out with the girls, burning the midnight oil, cosmos in hand - men eat it up. Women, on the other hand, find it odd when men post too many selfies. Maybe it is sexist, but it’s true. Psychopathic Tendencies. Men who take selfies are found to be more impulsive, narcissistic, anti-social, and have more psychopathic tendencies than those who don’t or rarely post selfie pictures online. This study, conducted on 800 men whose age ranges from 18 to 40 years old, was published in the Journal of Personality and Individual Differences by a research group led by Ohio State University professor Jesse Fox. Men who take time editing or cropping images to enhance selfies have higher tendencies of narcissism, self-objectification, and personality dysfunction. Insecure and Irresponsible. Narcissistic men are those who think highly of themselves and believe they are superior to others. It’s quite a paradox that the very same confident selfies reveal underlying insecurities. It’s a known fact that women are attracted to emotionally and financially secure men, selfies scream of opposite traits. Too many selfies may infer to someone that you are not making good use of one’s time. Ideally, a woman wants a man who takes the lead and proves that he is on top of things. If you want the best male profile in online dating, don’t post numerous selfies of yourself on the couch watching TV, while every other man’s dating profile picture shows them doing outdoor activities and spending time with friends, family, and interesting hobbies. These selfies will result in you being less likely to meet the woman of your dreams. Here’s one trending, male celebrity who is rocking the selfie: Dwayne “The Rock" Johnson. This 34-year-old, American-Canadian actor and professional wrestler has successfully bagged the Guinness World Record for the most selfies or self-portraits taken in under three minutes. The well-famed “Scorpion King" proudly sets a new record as the new “Selfie King" as he was able to pull off a whopping fast and furious total of 105 selfies in three minutes. However, while “The Rock" and the Pope can get away with selfies, the majority of men can’t. As with most aspects of life, the rich and famous get away with murder compared to most of us...and a selfie is essentially the best murder weapon against an online dating profile for guys. “Be yourself - get together with a good friend, go out and do something that you enjoy. If you like to climb trees, climb a tree - just make sure there aren't any big branches blocking your face when you get the picture taken. We want to see your face!" Now that you know that selfies are forboden, use your new knowledge to create your profile and get started with our top rated online dating site for men.